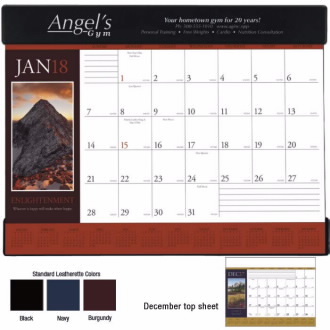 Desk pads keep a customer's name in front of potential clients on a daily basis. Vinyl corners provide an attractive frame and durability. This uplifting product is a perfect thank-you for customers. It has a vinyl header and a clear pocket at the bottom. 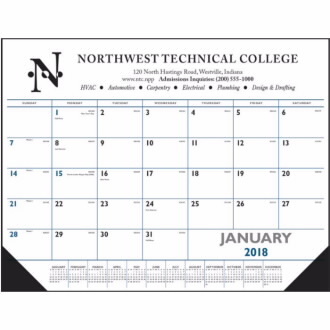 Product Includes: Standard imprint colors, metallic gold or metallic silver. 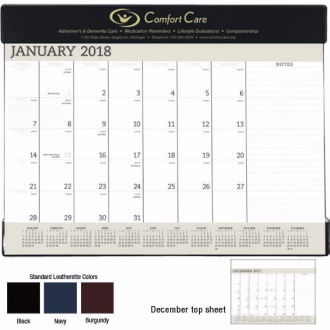 For other available colors, see additional product information. Product Includes: Standard imprint color, metallic gold or metallic silver. For colors other than gold or silver, see additional product information. 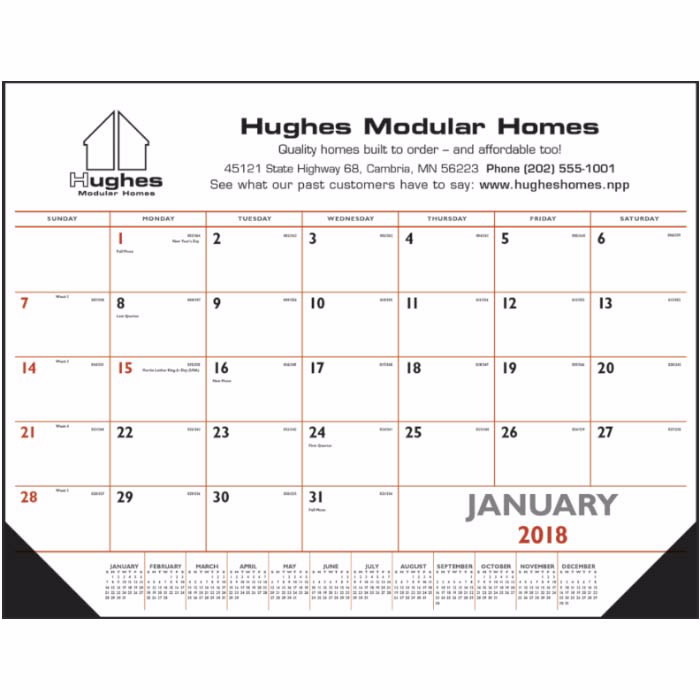 To request a proof or quote on a custom promotional desk pad calendars click here. Quantity discounts available.